Artist - Aelbert Cuyp: 1620-1691 Dutch Aelbert Cuyp Locations Painter and draughtsman, son of Jacob Cuyp. One of the most important landscape painters of 17th-century Netherlands, he combined a wide range of sources and influences, most notably in the application of lighting effects derived from Italianate painting to typical Dutch subjects. 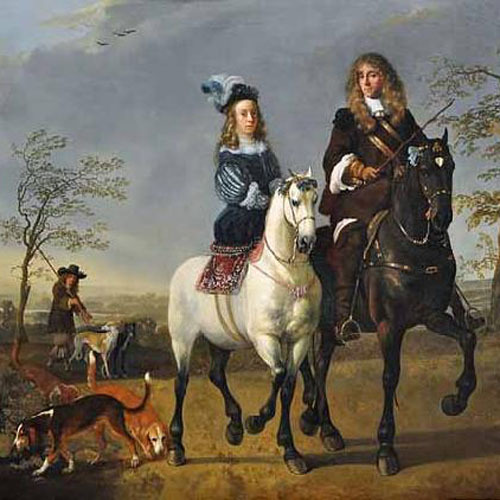 Such traditional themes as townscapes, winter scenes, cattle pieces and equestrian portraits were stylistically transformed and given new grandeur. Aelbert was virtually unknown outside his native town, and his influence in the 17th century was negligible. He became popular in the late 18th century, especially in England.